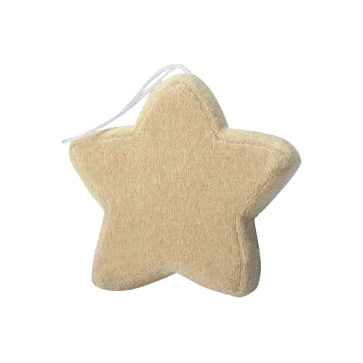 Soybean Star Bath Sponge is made with natural soya bean fiber. Soya bean fiber is extremely comfortable, environmentally friendly, and has been called the "vegetable cashmere" because of its incredibly soft properties. ..